Our Vision Francis Jordan Catholic School prepares students for a lifelong journey by nurturing a passion for learning and excellence while remaining centred on Jesus and His teachings. 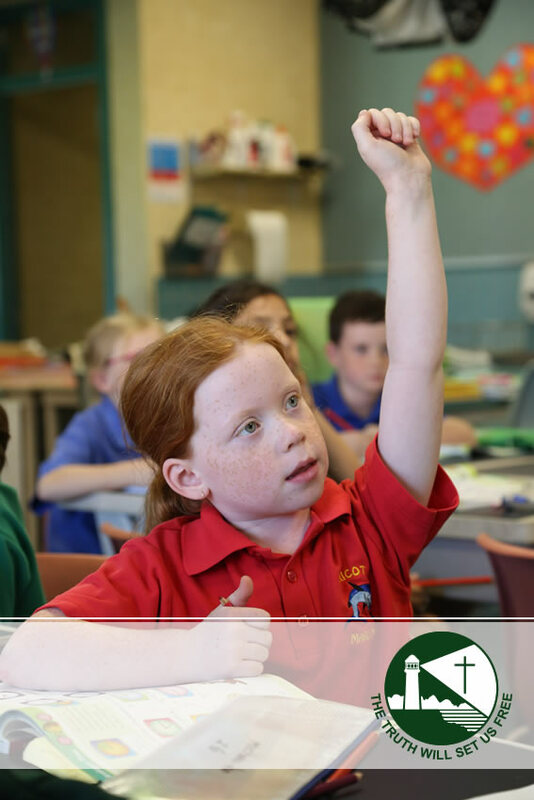 Francis Jordan Catholic School is a family orientated Catholic community-based Parish primary school with an enrolment of approximately 500 from Pre-Kindergarten to Year Six. The schools’ vision is centred on the person of Jesus and the teachings of the Catholic Church where children thrive. Our school strives to promote a safe, creative, dynamic community that nurtures and educates the whole child (spiritual, moral, intellectual, social, emotional, and physical) to be life-long learners and problem solvers, providing the skills necessary to succeed in a changing society. Furthermore, we aim to provide foundations in the Catholic faith that will enable our students to value and live their faith throughout their lives. It is the intention of all involved in the school to provide an environment where the students feel, valued and challenged to excel. Families are encouraged to be as involved in the life of the school as they can be. The school is a more complete community when this occurs. Respect for the dignity of each person and the school’s motto, “The truth will set us free”, underpin our relationships, actions and endeavours. Respect for the dignity of each person and the school’s motto underpins all actions and relationships in the school. The school is a learning community, where students are developing into young people who think clearly, act with integrity, generosity and humility, are sensitive to the needs of others, have a desire to serve the community and adopt a global perspective. Our school is a place where prayer and liturgical celebrations provide a central focus for a Catholic Christian community. The school also offers a comprehensive before and after school care service. Respect: ‘Respect each other and our environment’. Respect involves taking responsibility for each other. Respect is speaking to and interacting with others in a courteous manner. Integrity: ‘Be yourself. Be true to yourself’. Integrity means being honest, reliable and trustworthy, living by strong moral principles. Trust: ‘I believe in you.’ Trust is the firm belief in the reliability, truth or ability of someone.